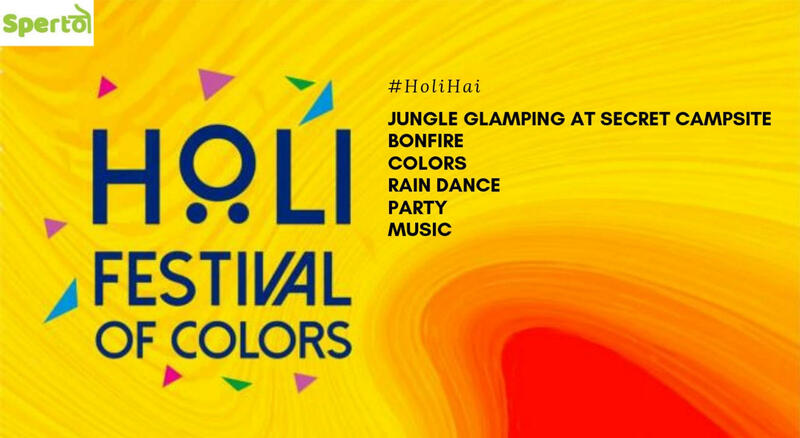 Celebrate Holi amidst the Jungle and wilderness. Join us for the Colorful Holi Campout, 2019. Away from the city, Glamp Camp is a serene and private campsite located amidst the sahyadri mountains. Experience the cold air, Jungle feels, dark night, warm cozy fire under a million stars. Sleep to the lullaby of nature, get colorful and rain dance your heart out. Make your holi #awesome. - Alpine tents on 2 / 3 Sharing as per preference and group size at the time of booking. - All meals starting from Dinner on Day 1 and Breakfast, Lunch, Snacks and Thandai OR Soft drinks on Day 2. The campsite is approximately 120 kms from Mumbai and 25 kms from Lonavala Station. Drive via the Old Mum-Pune Highway towards Kamshet. Once you reach Kamshet, take a right and keep driving towards a village called Pawna nagar, until you reach a board which says ‘Thakursai’ (In Marathi). Keep going straight from there from the board for 40 mins more the campsite will be on your right. Hire shared cabs / autos from there which charge about INR 300-500 per head One Way. Private cabs charge around INR 1300-1500 one way. While returning or staff will help you book a vehicle back to station. *We will share google map location and exact directions in a confirmation email after the booking is confirmed.